If my grind for to acquire the great white battleship, also known as the Nestor, were a play, then Act I concluded Monday. I set three goals at the beginning of the quest. 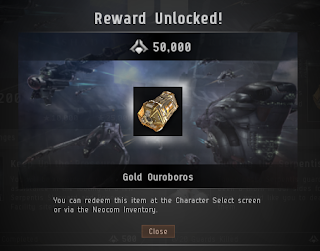 First, earn 600,000 Sisters of EVE loyalty points and 100 million ISK to obtain a blueprint copy from the loyalty point store. The second was to mine all the minerals necessary to construct the battleship. Finally, to earn enough to purchase and fit an armor command ship to complement the Nestor. The story, as many opening scenes go, saw the hero of the tale, your humble blogger, do wonderfully. In the first 3 1/2 weeks I built up 355,000 loyalty points, over 330 million ISK, and loot and salvage worth 900 million ISK. Along the way I met, and killed, many interesting NPCs who badly needed killing. Or at least, the Sisters of EVE agent I work with decided they needed killing, and since she's paying the bills, I made sure they died. But now I face my first obstacle, which signals the beginning of the second act. That's right, the changes in fleet boosting will result in the nerfing of both my missioning and mining fleets. Well, at least the information provided so far indicates a downgrade in performance. Faced with the obstacle, how will our hero react? The key dates in my mind are 13 September and 22 November. In September, the mining barge changes take effect while in November the fleet boosting changes hit Tranquility. During that 10 week period I will have a window to use 2 strip miners on my Procurer while at the same time continuing to get the passive 10% mining yield boost in low sec that come with my current leadership skills flying in a two-ship gang. I need to take full advantage of that. So basically I will change my plans a bit. I need to try to finish the LP grind in two weeks. Not only to finish the grind before the nerf, but to give myself time to do a lot of mining in low sec. The pixie dust that will power the new command burst modules contains mainly raw ice products. I figure the ice in low sec will contain more of the products than the ice found in high sec. So in addition to mining the higher-end ores required to build a Nestor, I will also mine the ice needed as a power source for the new fleet booster modules. I can foresee some minor obstacles to overcome along the way. But Act II needs the obstacles in order to make the story interesting. I also want to somehow work the Gallente COSMOS missions and a Gallente faction grind into the mix of activity as well. That should add a degree of difficulty to the next few months, but I don't want to kill myself. But I think I'm fully involved in the game again and want to see how my current journey ends. Yesterday, Team 5-O published a long-awaited dev blog giving an introduction to the new fleet boosting system. As the next two scheduled dev blogs promise to explain the system in greater detail, I figured I would give some quick initial impressions from the introductory blog on the feature. First, CCP will eliminate all passive fleet boosts, including ones from skills. Here's a list of the fleet boosts the new system eliminates. Armored Warfare: 2% bonus to fleet members' armor hitpoints per skill level. Information Warfare: 2% bonus to fleet members' targeting range per skill level. Leadership: 2% bonus to fleet members' targeting speed per skill level. Mining Foreman: 2% bonus to fleet members' mining yield per skill level. Siege Warfare: 2% bonus to fleet members' shield capacity per skill level. Skirmish Warfare: 2% bonus to fleet members' agility per skill level. Look, I understand why, in addition to the stated reason for wanting to create valid counter-play strategies, CCP would want to get rid of bonuses flowing through the fleet hierarchy. Eliminating a long slog of learning charisma-based leadership skills allows eager young players who want to try their hand at FC'ing a faster path to potentially becoming a valued content creator in EVE. Older players can put the younger player into a fleet leadership position without worrying that the move will weaken the fleet. From a personal standpoint, however, the change is really going to hurt. The change means I will run missions with 10% less armor hitpoints, 10% less shield hitpoints, 10% shorter targeting range, 10% slower target locking times, and 10% less agility. Perhaps more painful, on those occasions I mine in low sec, filling up my ore hold will take 10% longer. The next change is associating the number of command burst modules a ship may fit to a ship's size. So command destroyers, combat battlecruisers, and strategic cruisers with a warfare processor subsystem all may fit on command burst. Command ships, the new Porpoise industrial command ship, carriers, supercarriers, and force auxillary ships may all fit two command bursts. Finally, Orcas, Rorquals, and Titans may all fit three command bursts. Players can fit additional burst modules though the use of command processors, but CCP is turning the low slow module into a rig come November. 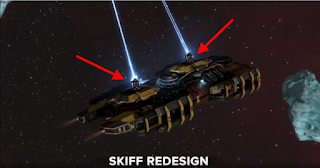 I understand why CCP may want to base the number of command burst modules to ship size. The idea not only makes sense from a realism perspective, but gives an understandable frame of reference for any changes the developers may make in the future. But from a personal perspective, the change is probably a net nerf to my Claymore fit. After the update I will have to drop one of my three warfare links as both my rig slots hold Medium Processor Overclocking Unit Is. I will probably replace the Rapid Deployment I skirmish link with a fifth Heavy Missile Launcher II. A change to a Nestor/Damnation combination is starting to look better and better. Another possibly controversial decision is the limited area of effect of the command burst modules. With a base area of effect of 15 km, the radius after taking skills and bonuses into effect is still under 100 km even in a titan. I think some people hoped for a grid-wide effect. Truthfully, I don't care, as I normally fly both my Claymore and Orca within 20 km of the ships they boost. An interesting design decision is the use of ammunition to power the command burst modules. Supposedly the modules will hold a large amount of the ammunition, but the numbers are not available at this time. Also, how much cargo space is required to hold a variety of ammunition? The fact that firing the command burst module triggers a weapons timer that prevents warping through a gate or docking for one minute raised some eyebrows. When I read the part about the material required to build the ammunition coming from ice products, I immediately thought about going back to low sec and resuming ice mining. I figure I may have to as I expect the price to shoot through the ceiling in the early days. Perhaps I can get involved in some profiteering at the beginning for a change. Finally, I would like to end on a personal high note. The command burst is a lot easier to skill into. The tech 1 version only requires Leadership I and the basic group skill (like Armored Command) trained to 1. Tech 2 command bursts only require Leadership V and the advanced group skill (like Armored Command Speicalist) trained to 1. Currently, to fit tech 2 warfare links requires training the advanced group skill to 5. That means I do not need to train anymore skills in order to fit tech 2 command bursts come November. In order to fit the tech 2 versions of warfare links, I was looking at a 37-day train for each of the 5 links. Now I can concentrate on learning other skills. The above is just a brief look at the changes coming to New Eden in November. CCP is still due to release three more dev blogs on the subject, with two getting into greater detail on the mechanics. Until I start seeing more dev blogs and prototypes on Singularity, though, I don't plan on getting too upset about the future. On Friday the Scope published a video commemorating the destruction of the first Keepstar-class citadel in EVE Online. For those who missed the news, the video is embedded below. "Rumors surface regarding potential purchase of Independent Gaming Commission by newly independent Scope Network amid announcements surrounding Fourteenth Alliance Tournament." A very interesting development. The Independent Gaming Commission took over control the Alliance Tournament in YC109 (2007) from the Caldari Gaming Commission. The CGC held the first Alliance Tournament, beginning December 28 YC107. Even at the beginning of the AT, capsuleers wanted to gamble on the event, with Eve University and BIG Corporation operating betting services. The Caldari Gaming Commission had big plans for the Alliance Tournament, announcing a partnership with Boundless Creation in November YC108. The partnership would organize tournaments every six months for five years. The plans came crashing down soon after the third Alliance Tournament as the CGC became embroiled in a tax evasion investigation as the Mercantile Club turned over footage of CGC officials and their accounts to the Caldari Business Tribunal. 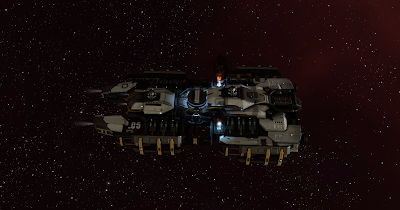 The Caldari Gaming Commission was found guilty of evading 3.4 billion ISK in taxes in May YC109 and ordered to pay an additional 1.5 billion ISK in penalties. In July YC109, CGC founder Dabel Kaelikohani announced his organization would no longer sponsor the AT. "I'm happy to announce that the Tournament will continue, but it is not longer strictly tied to one empire. To collect the funding needed for the tournament we now instead have investors from all four. From the Caldari State, we welcome members of the Mercantile Club; from the Minmatar Republic we enjoy the expertise of the Leisure Group; the Gallentean Bank of Luminaire will provide us with financial backing; and the Amarr Certified News will cover all news from the Tournament this year." Over the past nine years, the IGC managed to avoid trouble with the authorities, but the tournament was plagued by irregularities and match fixing. Among the worst blemishes was the collusion between Hydra Reloaded and 0utbreak during AT IX and disqualification of The Camel Empire and Warlords of the Deep from Alliance Tournament XIII. If the rumors are true, fans of the tournament can only hope the Scope will bring greater oversight to one of the greatest annual events in New Eden. I'm not sure why, but a lot of people are floating ideas on how to improve EVE. The CSM is running town halls and focus groups looking for ideas and feedback to take with them to the upcoming summit in Reykjavik. A lot of people love to spend hours and hours telling CCP how to design their game. I'm not really sure why. I tried once and the experience is something I don't think I'd try again. I think I'll just sit and snipe from the sidelines once I see the changes appear on either Singularity or Tranquility. 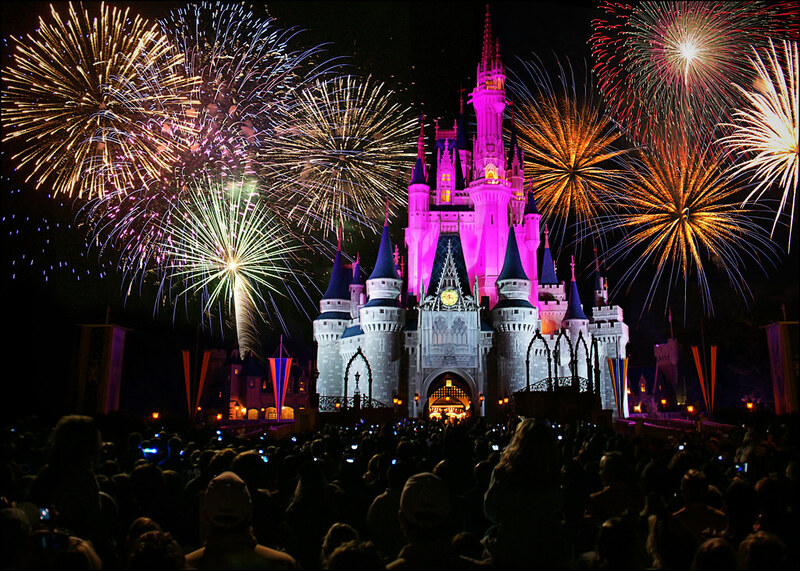 Okay, the citadel wouldn't look exactly like this. The art department does not approve of pink in EVE. But we know we need citadel sized festival launchers. Citadel festival launchers are such an obvious idea that I don't feel out-of-place discussing them. I have the feeling we may see them come out at the end of November or perhaps early December. I do have one desire for a citadel festival launcher. I'd really like to see an area of effect snowball round, kind of like the point defense system AoE. I don't know if an AoE firework is practical. Based on my experience in Signal Cartel Hug Fleets, the amount of fireworks going off could affect people's graphics cards. Last night I passed an important milestone in my quest for a Nestor. I now have over 600,000 Sisters of EVE loyalty points on one character. I'm going to continue to grind loyalty points because when I finally buy the pirate battleship, I want to have at least the 348,000 SoE loyalty points I possessed when I began the grind. With +4 implants and my current neural mapping, I'll finish those skills sometime in the first week in February. I placed the drone skills before the battleship skills because they will help with so many other ships than the Nestor. In fact, I set up my skill queue with the goal of learning skills that will help with a lot of ships first, then I narrow down to more ship specific skills. I did do a little rearranging to max out my relevant Nestor skills first, but learning the drone skills at this point of my EVE career is pretty much mandatory. I also want to pick up a little bling for the battleship. Syndication, the Gallente Level 4 epic arc, gives a Black Eagle Drone Link Augmentor as one of the rewards at the end of the series. The faction module gives 2,000 m greater drone control range bonus over the tech 2 variant. 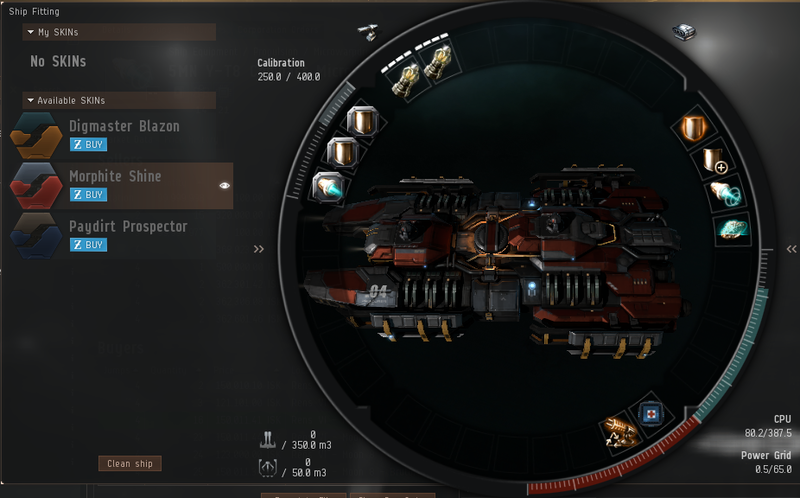 If I don't use the module myself, I understand I can make some good ISK by placing it on the market for sale. The average sale price in Jita yesterday was 146 million ISK. As a final move, I may pick up an Armageddon to simulate flying a Nestor. I still need work figuring out which crystals to use. I also think that I need more practice with an armor tank and cap management, which is why I'd pick using an Amarr ship over a Gallente one. My goal turns out not to just acquire a Nestor. I want to fly the ship well. Flying the ship well not only includes building up the skill points, but getting the practice required to not make dumb mistakes. As the most expensive ship, when fittings are included, in my personal fleet, I don't want to do something silly to lose it. 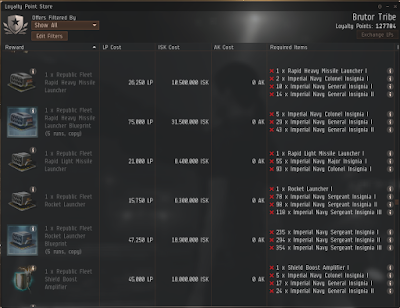 I have to say I am not impressed with the offerings out of the EVE Online cash shop. As in, I still have the 5000 aurum I received from CCP back in 2011 when clothing and monocols were all the rage. More accurately, what all the players raged about. I've spent a lot of time on the Singularity test shard over the past week or so testing burner mission fits and looking at the new mining barge artwork. I'm not really a fan of the SKINs. If the offer is still available when I get a Nestor, I may pick up the Sanctuary SKINs collection for the Sisters of EVE ships. But I don't think the skins for Minmatar ships look that good. 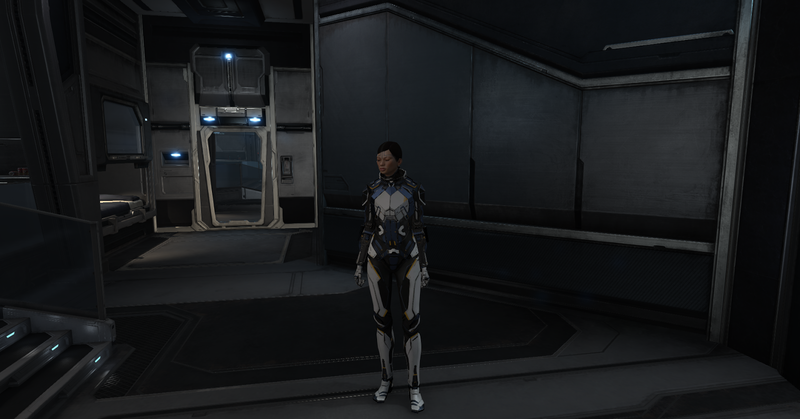 For example, I fly Claymores, so I started looking at the SKINs available for the command ship. The one I like the best is the Justice SKIN, but then I'd own a green ship. I associate green with the Gallente. I guess the Gallente are okay, but do I really want to imitate them? Then I decided to see the selection available for Procurer hulls. 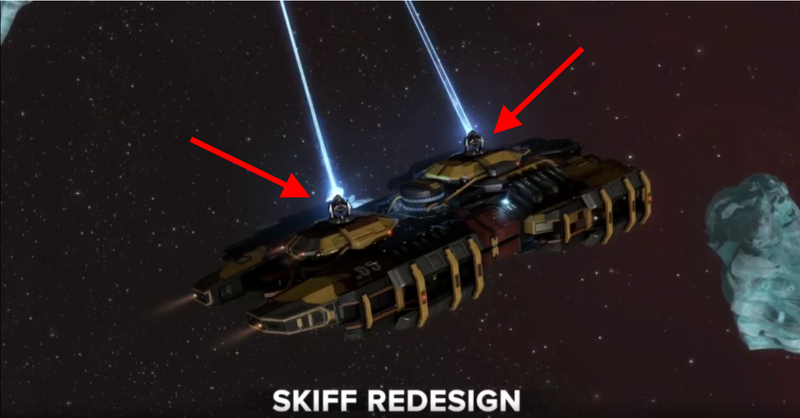 The ORE Development SKIN for the Skiff looks pretty good. More importantly, the SKIN is also available for the Orca. Color coordinated mining fleets? I could go for that. I see three other SKINs on Singularity, but none available for purchase on the market. They are the Digmaster Blazon, Morphite Shine, and Paydirt Prospector. I like the Morphite Shine the best of the three. I think the colors harken back to the good old days when Minmatar ships were rust-colored. I love the look on the Procurer and Skiff, but not so much on the Orca. Still, having a little fleet sitting in a belt all with the same paint scheme would look pretty cool. I'm still not sure about purchasing anything from the New Eden Store. The selection is improving, although I still get the sense the SKINs are overpriced. I thought so last year and I'm not sure I'm willing to buy an Orca SKIN. Sure, I still have a lot over $50 worth of aurum on two of my accounts, but I still want to wait to see if anything new comes around that really impresses me. For now, I can control the impulse to splurge. A quick post because I spent a lot of time playing EVE this weekend. I am now up to 250,000 Sisters of EVE loyalty points on my grind up to getting a Nestor. What surprises me, though, is the amount of wealth I've accumulated over the past two weeks. Even after paying for drones, manufacturing and research costs, and a second fully-fitted Hound for my second low sec mining base, my wallets are still up a combined 250 million ISK. The thing that stunned me, however, was the amount of drops and salvage I collected. The price estimator in my inventory in the station states I collected over 500 million ISK in modules and salvage. Breaking down the value of the drops, I gathered over 250 million ISK in Caldari and Amarr Navy tags. Wow! Back when I started playing EVE, I never considered the tags as worth anything. Okay, that was sheer laziness. Seven years ago the estimated worth of your belongings didn't exist. If I wanted to know how much things cost, I had to look them up one at a time in the market display. Who had time for that? I'm not really sure tags are really that attractive. I took a look at the Brutor Tribe loyalty point store and I didn't see anything I really wanted. Or, nothing I wanted that required tags. I see an awful amount of tags required to get a lot of items. Perhaps some of these items are better than tech 2, but I'm not so sure. Then again, I have a lot of skill points, so perhaps newer players would see these items as replacements until they get the skill points for a higher level of tech. Something tells me the true value of the tags in my inventory is greatly exaggerated. I probably should just gather them all up in one place and watch for when desperate people are willing to overpay for the things and then sell to the buy orders. If I really want faction gear, I just want to pay the loyalty points and some ISK. Trying to collect tags doesn't seem worth the effort. One of the dangers of running missions in high sec is running afoul of one of the empires. On my current quest for the Nestor, I need to worry about my Amarr standings. Currently Wandering Rose is sitting at -2.81 and Rosewalker is at -4.5. If I hit -5.0, the Amarr Navy starts shooting at me in high sec. My standings with the Amarr are improved considerably due to a skill called Diplomacy. The skill grants a +4% modifier per level to the effective standings toward every NPC faction with which I have negative standings. Both Wandering Rose and Rosewalker have the skill trained to 5. Without Diplomacy, my characters would have Amarr standings of -6.01 and -8.12 respectively. Did I mention I like to shoot at Amarr ships? Of course, my standings are so bad that just a couple of storyline missions would free me from fear of the faction police wanting to separate me from my ship. On the flip side, if I started working to improve Wandering Rose's Amarr standings, her Minmatar standings would drop like a rock. Her standings are 9.91, and I'm not sure I really want to lower them. Then again, the development trend in EVE is to not value high standings like I have with the Minmatar anymore. I think the only reason I am reluctant to do so is that her standings show she is a staunch supporter of the Republic and doing anything to reduce that feels like a betrayal of the character. I should add that I could gather up the loyalty points I need without ruining my Amarr standings. I know of a level 4 distribution agent in low sec I can get a lot of loyalty points from. But part of the exercise I am engaged in with my current grind is to become familiar with running high sec security missions after a very long time of not doing them. Besides, ruining my Amarr and Caldari standings would give me additional goals in the game. A kind of perverse way at looking at the situation, but if I want to talk about repairing standings, I may need to ruin some first. Sometimes logistics get a little confused. After using some sub-optimal ammunition over the previous few days, Wandering Rose watched as the hanger crew unloaded some sorely needed Scourge and Mjolnir missles for her Claymore and crates of large EMP rounds for the 1400mm howitzers on Rosewalker's Maelstrom. Finally, she could relax until the next scheduled shipment arrived two days hence. Every so often I read or hear someone bring up the idea of locking people out of stations based on their faction standings. A very old idea, we saw the feature implemented in factional warfare in the Inferno expansion in 2012. With CCP working on new PvE content that may come out sooner rather than later, I figured now is as good a time as any to take a closer look at the concept. First, let's examine the mechanics at a relatively zoomed out level. Players currently require standings with a corporation in order to run missions for that corporation's agents. Faction standings can modify the level of agent the player can access. For example, a character with standing of 5.0 with the Caldari State, for example, can work for every level 1 thru 4 Caldari agent in New Eden. On the flip side, a character can have perfect 10.0 standings with an NPC corp, but if the pilot's standings with that faction are below -2.0, then a pilot can only access level 1 agents belonging to that corporation. I should add that the level one restriction did not always exist. When I began playing, one could not run any missions for a corporation with which one had faction standings below -2.0. Recovering from bad standings was, in polite terms, painful. In order to gain standings, one had to do missions with a faction allied with the faction the player wanted to gain standings with. The derived standings gains are smaller than directly running missions for the NPC faction. Even with access to The Plan, I don't think anyone wants to return to the days where players could lock themselves out of access with a faction's agents. Now, can anyone see where locking players out of stations for having low faction standings could cause a problem? Locking players out of stations would lead to locking them away from agents that could allow them to directly gain the standings needed to get back into the stations. Then we're back to the derived standings game if one has already utilized all the one-time use agents that reside in space. The second complaint is about realism. Some may argue that the Amarr would not deal with someone with bad standings. Putting aside the theory that sometimes playability is more important than realism, I think the current situation has that covered. Let's use the Amarr Empire as an example of how things work today. Let's say someone like me, who likes to shoot Amarr, shows up in the Empire looking for work. With standings of -4.3, all of the good paying jobs are closed to me, unless I seek work at a non-Amarr station. I'm stuck with low paying work from level 1 agents. And if I keep up my Amarr-bashing ways and my standings fall below -5.0, the faction police will chase me out of the high security sections of the Empire. Outside the Empire, the lucrative Amarrian agents will still shun me. As for the level 1 agents? They seem pretty desperate to me. Let's take Chadla Herorad as an example. Chadla is a level 1 distribution agent for Nurtura, a large Amarrian agricultural company with interests throughout New Eden. Chadla is stuck in Aldik, a system in the Minmatar Republic region of Metropolis, two jumps out of Geminate. Does anyone really think Chadla cares who hauls the fertilizer out of the station as long as the smell goes away? Any warm body who can fly a hauler will do. Now, I have to stipulate, the above is based on the current situation in EVE today. As I mentioned above, CCP is working on changes to PvE that could upend everything we know. But as long as we have the current standings system, I hope CCP doesn't make recovering from a mistake, or even sheer ignorance, too onerous an undertaking. After 10 days of running missions, I'm a little over one-quarter of the way to obtaining a Nestor. In addition to picking up 150,000 Sisters of EVE loyalty points, I've looted 180 million ISK off the field and picked up over 200 million ISK in bounties and mission rewards. One thing I didn't count on was the type of damage I would need to deal. I figured the Ani constellation is in Angel Cartel space, so if I brought explosive ammo, with thermal as backup, I would do okay. Ha! I think I've used explosive damage the least. I need to use all damage types, although thermal is the most used so far. I have ammunition stashed away throughout Minmatar space, so I had a cache close by to meet immediate needs. But my ammunition usage is higher than I expected, so I've moved into high gear producing my own. Why don't I just hop over to Hek? 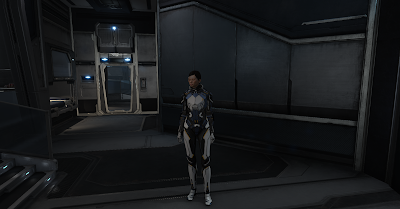 Because I'm saving my liquid cash not only to buy the Nestor blueprint (150 million ISK) and fit the ship, but I still need to purchase and outfit a Damnation. I'd rather convert the stockpile of minerals I have into ammunition. Besides, I like making my own ammunition. One slight oversight I made with my blueprint collection was failing to do time efficiency research on most of them. Given that I not only need to meet my current consumption rate, but replenish the one cache I borrowed from as well as establish a new cache in the Gallente COSMOS constellation, the faster I can manufacture what I need, the better. One trick I'm using is producing blueprint copies and then manufacturing items using the copies while I continue to perform the time efficiency research. Because I can only run one or two missions a night during the week, I have time to make the copies. Coming home and finding 30,000 rounds of EMP L waiting for me when I log in after dinner is a nice feeling, as don't use that much in a full week. Maybe one of these days I'll get back into the business of selling faction ammunition and missiles. For now, though, I'm just happy having the proper ammunition to shoot at NPCs. 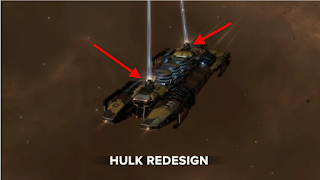 Yesterday on the o7 Show, CCP revealed some dates for a few old features that will receive large revamps. In November, not only will EVE see a new fleet boosting mechanic implemented, but the Rorqual receives a rebalance pass. In addition, a new, smaller industrial command ship will hit the servers similar in cost to a tech 1 battlecruiser. 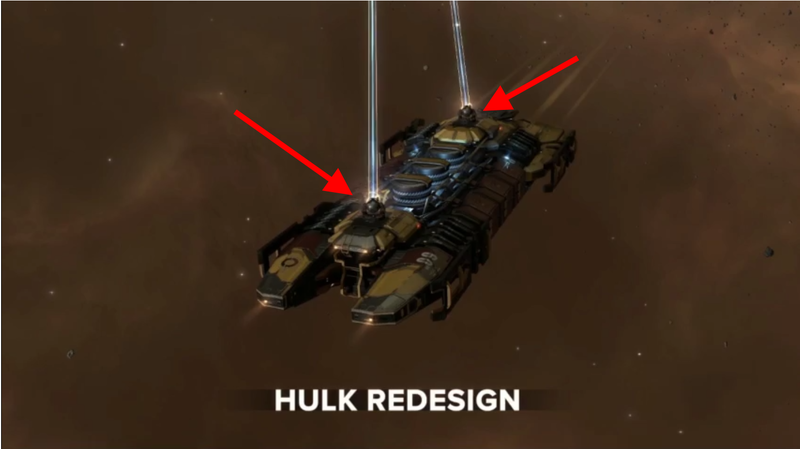 What struck me, however, was the mining barge overhaul coming in the September release. We don't have details, but the artwork is suggestive of a major overhaul. Below are screen captures of the new Procurer- and Covetor-class hulls. The screenshots suggest that the Procurer/Skiff will gain one turret high slot and the Covetor/Hulk will lose one. Does that mean all mining barges and exhumers will now have two turret high slots? I think so. One of the things that differentiated the three mining ship hull designs from each other was the number of strip miners each could mount. To my eye, the ships don't look that much different anymore. Throw in the same number of mining slots and I have to really ask what will make the ships unique? I know, I know. CCP hasn't published the dev blog yet and I am already sounding pessimistic. Let's just say I already have a couple of ideas for the newly revamped ships and I really want to read the details before saying anything else. I just hope CCP allows an increase in the cargo hold of the Procurer if miners have to start carrying twice as many crystals as we do now. 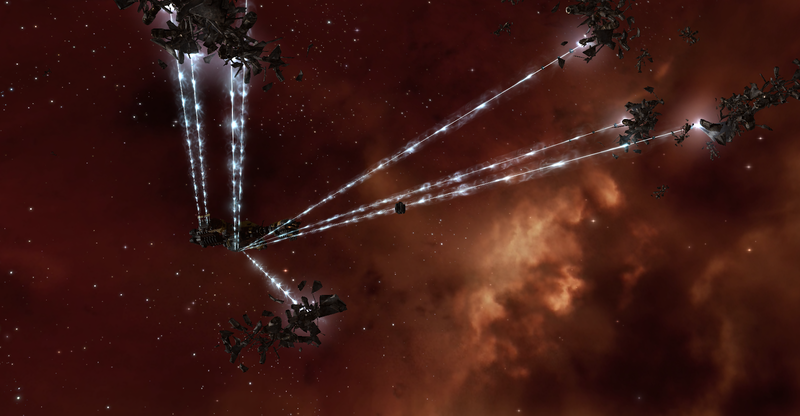 We have recently been made aware of a phishing scam that is currently targeting EVE Online players. As can be seen from the image above, emails are being sent to members of the community that contain links that lead to a bogus version of the EVE Online Single Sign On page. The mails are typically disguised as mails from Customer Support, Team Security or the Community Team, informing the recipient that a PLEX or character transfer has been completed, that a support response has been issued or a competition has been won. Please be sure that you carefully check the URL of any sign on page asking for your account credentials thoroughly before signing in, and don't hesitate to contact Customer Support or Team Security should you feel that one or more of your EVE Online accounts may have been compromised. I also want to point out that people should use two-factor authentication to protect their accounts. Not only does 2FA put another roadblock to hacking/phishing attempts, but keeps the hacker from putting his own 2FA on your account. Besides locking players out from their account while the hacker loots it, but is an extra delay in getting the account back. On Wednesday I did a couple of jobs for Kiljavas Yaskasen, a Sisters of EVE security agent in the Ani constellation located in Metropolis. The first task was simple. Track down a corp thief and retrieve some sensitive documents. 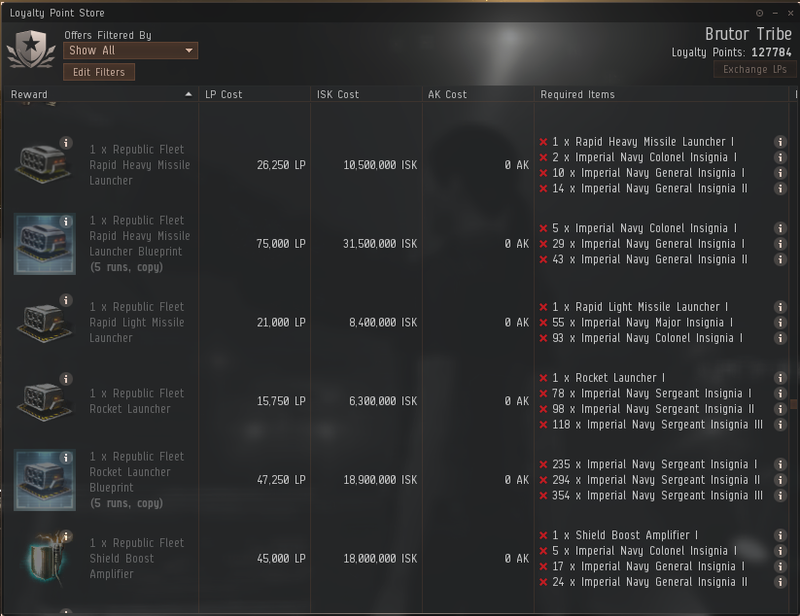 Easy work for 1.7 million ISK and 3,940 loyalty points. You would think an organization that can keep 4 stations built in a wormhole secret for years would not keep having security lapses. I'm coming to the realization that the Sisters of EVE aren't deploying their best people to this area of New Eden. Perhaps the explanation lies in the fact that the Ani constellation lies in high sec. I'll have to ponder the reasons why further. For you, my friend, there's always something. We have reports of terrorists wreaking havoc in Tvink. Our convoys have been attacked, as well as some outlying outposts; they seem to be intent on causing as much damage as possible. I'd like you to take care of them as quickly as possible. And be aware that they may not all be gathered together when you arrive... if so, you will be able to pick them off as they warp in to the rendezvous point. But, I figured terrorists shouldn't pose too much of a threat. I even caught them scattered and defeated them piecemeal as they warped in. Fortunately, tactics were not a strong suit for the enemy commander, because his combined force consisted of 19 battleships, 11 cruisers, and 2 frigates. Even with the lack of tackle, that force could have caused some anxious moments if adequately led. This new division called themselves "The Equilibrium of Mankind". Ocilan became the self-appointed leader of this new division which had very different views than most within FoG (Followers of God), which is simply a law-abiding monotheistic sect that follows the writing of Aramon Khalid, who lived during the beginning of Eves history (or so they claim). Little is known of the life of Aramon, but a few fragments of his writings still remain intact within a museum in the great library in Ardishapur Prime. His teachings are officially approved by the main religious body of the Amarr and the Emperor. However, other fragments remain from this period. Scorned by the religious leaders of the Amarr, they were long forgotten and almost vanished forever, if it weren't for the dedication of certain Amarrian historians who kept them intact and safe. These writings had a completely different message than the ones revered by the Followers of God. They were written in an almost chaotic manner, as if transcribed by a man beset by a mental illness. They tell of destruction and doom and the downfall of mankind as we know it, should the human race decide to remain within this new universe which had been forbidden to them by God himself. It warns all who read it that those who do not follow the path of the righteous will burn in the fiery depths of hell. Those who follow "the path of the righteous" in this case are those who aid in the reconstruction of the "pathway to heaven", a myth long forgotten or discounted by most scholars within the Eve universe. This path would lead to the salvation of mankind, and failure to ultimate doom. Those who choose to follow the path must commit every ounce of their energy to see their pledged fullfilled or risk eternal damnation. "They are also devoted practitioners of their religious beliefs, which center around the EVE-gate. The Sisters belief that this ‘relic from god’, as they call it, holds the key to the universe and are determined to unlock it, in order to bring ‘everlasting peace under god’s guidance and guardianship’ to the world of EVE. The Sisters maintain that god resides at the other side of the gate and from his domain he guides the lives of those that belief in him and keeps them out of harms way." No wonder the EoM is attacking the SoE. The Sisters believe that God looks favorably upon the humans in New Eden and acts positively in their lives. The EoM, on the other hand, believes God disapproves of the presence of those in New Eden and will condemn those who do not seek to leave. I understand why Yaskasen is using my corporation to settle religious scores. The Sisters of EVE are looking for a cut-out to maintain their stated public neutrality, and outsiders won't look askance at my actions. I just hope I can get out of the area with a Nestor and a profit. In yesterday's post I mentioned making 64 million ISK looting the field on the last part of the Pot and Kettle series of missions. One element of running missions I'm trying to figure out is how much, or even if, I should loot the field. Back when I used to run security missions, I would just pull out a Noctis after every mission and salvage everything. Mobile Tractor Units? They didn't exist back then. To give an idea how long since the last time I seriously ran security missions, CCP introduced MTUs back in the Rubicon expansion in November 2013. A Mobile Tractor Unit (or MTU) is essentially a massive cargo container with a tractor beam bolted on. Once deployed, it uses a single tractor beam to pull in any wrecks and cargo containers. It has a range of 125 km, with a 1,000 m/sec tractor velocity, and a 27,000 m3 cargohold. Deployment time is only 10 seconds, and the MTU will last 2 days in space before despawning. The MTU is only accessible by its owner. When destroyed it drops partial loot the same way a destroyed ship does. The MTU may not be deployed within 5 km of another MTU, within 50 km of stargates or stations, or within 40 km of a player owned starbase. It has 50,000 hitpoints. However unlike the Mobile Depot it does not enter reinforced mode and can be immediately destroyed. Like the Mobile Depot, the only consequence for shooting another player's MTU is a Suspect flag; CONCORD will not intervene. The MTU targets the closest item first, tractors it in, and loots it. Due to the "closest first" behaviour, you can't use more than one MTU per site, as they will interfere with each other and pull nothing in at all. The MTU has become extremely popular despite its cost, particularly for looting mission rats. Though not as fast at tractoring and looting as a Noctis, the MTU continues to loot a field even when you're not there, and deposits wrecks in an easy-to-salvage group around itself. This can allow your mission ship to salvage while running the mission, using either a utility high slot, or salvage drones. One of the first things I noticed is that the MTU will scoop up more loot than I have cargo space. So I have developed a plan which I hope is common. I deploy the MTU, create a bookmark, and then let the deployable gather up all the wrecks. If the mission has more than one dungeon, I scoop the MTU to my cargo hold, which deposits all of the loot into a jet can. I then proceed to each dungeon until I get to the last one, where I may or may not leave the MTU to finish the job. Lanngisi, the home of the Sisters of EVE level 4 agent Kiljavas Yaskasen, is no further than two jumps from any system in the Ani constellation. So flying back to base, turning in the mission, and then flying back in a Noctis does not take very much time. Turning in the mission first kills the mission site but not the wrecks. I then have the choice of flying out either a Prowler or a Noctis to gather up all the loot. I use the Prowler if I don't want to salvage the wrecks or the Noctis if I do. And if someone pops the MTU while I'm running around elsewhere? The thing has paid for itself eight times over, and that was after only a couple of days of seriously running missions. I realize a lot of people will laugh and point out the flaws in my method. How could someone who's played for seven years not know the tricks to running high sec missions? Hey, EVE is hard and no one knows everything. Besides, figuring out the mechanics is part of the fun. My quest for the great white battleship (aka the Nestor) leads me back to a familiar place: the Ani constellation. The home of the Minmatar high sec COSMOS sites, I spent a lot of time running around the constellation on my way up to 9.9 standings with the Republic. So what brought the Sisters to Ani? Officially, the Sisters conduct humanitarian operations. Not only do they maintain medical facilities in 3 of the stations in the constellation, but they also maintain a relief camp in Traun. "The Sisters of EVE, always ready to aid those in need, have set up a relief camp here. The constant skirmishes around the system leave many wounded and hurt. Many more have also lost all their assets after accidentally getting in the cross-fire or being beset by on of the many warring factions. Here, the Sisters are giving first aid to those that need it. They are also monitoring the conflict, checking for any signs of inhuman treatment or war crimes taking place. But as everywhere else, they strive to maintain their neutrality." As I quickly discovered, that neutrality doesn't quite extend to the Amarr Empire. The EVE Gate, the wormhole that brought humanity to New Eden, holds religious significance to both the Amarr and the Servant Sisters of EVE. Indeed, the EVE Gate is of utmost importance to the Sisters, and the Amarr control it. "The Sisters of EVE center their faith on the Eve Gate. They believe that the gate is a divine gift, given to them for the purpose of unlocking the secrets of the universe and obtaining an eternal peace. They believe that God resides on the other side of the gate, guiding those of faith to him. Harna Durado, along with the Sanctuary corporation currently in charge of the sisters efforts at the gate." If I wasn't on a personal mission, I likely would refrain from involving myself in a sectarian war occurring next door to one of the Minmatar Republic's major trade hubs. But the Sisters have something I want, so I decided to choose sides. Today marks my 7th year anniversary of playing EVE Online. I have had periods where I didn't log in due to business trips or attending Fanfest. Sometimes I only logged in a few hours in a week. But over that time I kept at least one account subscribed. One of the secrets to playing EVE is setting goals for yourself. Heading into my eighth year calling New Eden home seems like a good time to set some new goals. Here are some of mine that I'll work toward completing over the next 6-12 months. My Maelstrom has served me well as the flagship of my personal fleet over the years, but the Shadows of the Serpent event picked out some of the old tech 1 battleship's flaws. While the ship's tank never came close to breaking, the Maelstrom is just so damn slow in warp. The choice for a replacement came down to the Machariel (3 AU/sec) or the Nestor (2.5 AU/sec). While slower, my goal is to obtain a Nestor. While the slowest battleship in space (base speed 70 m/sec), the Sisters of EVE battleship has scanning and drone bonuses plus is a remote armor repair platform. I'm looking forward to teaming the Nestor up with a Damnation to see how the pair performs, especially in one of the new-style holiday events. Of course, I have to get the Nestor first. My plan is to grind the 600,000 loyalty points to buy the blueprint copy from the LP store and then build the ship myself. Just getting the ship may take a couple of months, during which time I can figure out a good fit for the ship. Over the weekend I already earned 59,000 LP, so I'm almost 10% of the way there. With any luck I'll have the ship in my hangar by EVE Vegas. A second goal is to get a character's standings with the Gallente Federation up to 9.9 so I can obtain the two-run Megathron Navy Issue blueprint. Raising my standings up that high will require running through the Gallente COSMOS missions in the Algintal constellation. I will also need to run the level 4 Gallente epic arc, Syndication once or twice in order to build up the standings. I figure the Gallente faction grind will take at least 4 months. So in other words, I may finish by next Fanfest. My first two goals will require spending a lot of time in high sec. I am not abandoning low sec. In addition to building my ships, I want to mine my own minerals. That requires mining in low sec at a minimum. 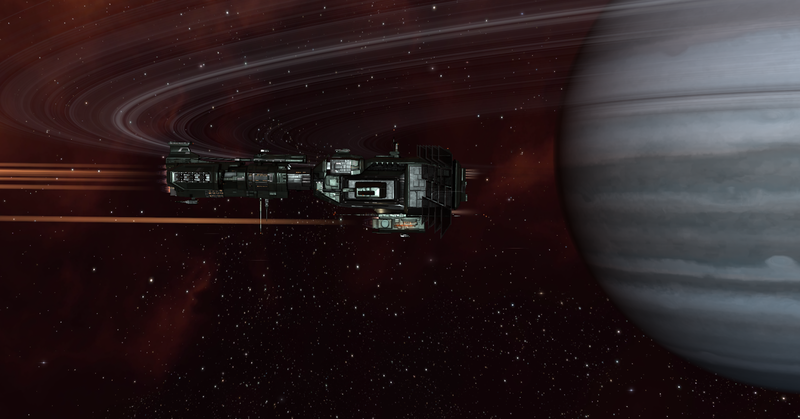 I even anticipate roaming around null sec in a Prospect looking for some of the high end ores. I've never mined mercoxit, for example, and am looking forward to finding a suitable site. I also want to experiment with a class of ships I've never flown: recons. I had some fun the couple of times I ran combat sites in low sec with a Bellicose. I wonder how I would fare flying a Rapier or a Huginn. The Rapier provides the familiar feeling of flying a cloaked ship through low sec. The Huginn, as a combat recon, is undetectable by directional scanners. For PvE purposes, I could probably put in a probe launcher in the utility high and scan down combat sites. Hey, if my ship doesn't show up on scan, people on roams won't bother scanning down anomalies on the off-chance they can find a ship. At least, that's the theory. Finally, I need to continue my bookmark project. With the expansion of grids to an ungodly size, I am slowly but surely redoing my bookmarks. I need to continue that work as well as making some really long insta-undock bookmarks for important stations where I keep valuable ships. I need to come up with an appropriate interceptor fit for that work. Does all of this sound like a lot of content? I think so. I should last until Fanfest, when we hopefully will see previews for a lot of shiny new content. And if I finish a lot faster than I think? Hey, this is EVE. I've barely scratched the surface of the things I can do. I'll find something else to keep me occupied. Last night I reached my goal for the Shadows of the Serpentis event. Besides the Vehement blueprint copy, the most valuable thing was all the extra training accelerators. However, the rewards aren't enough to get me to grind to 50,000 on a second character. I figure I could do it over the weekend, if I put 20-25 hours into the effort. That's not going to happen. Because I finished late, I'll just throw in one more observation. I don't like the Scope outfits that come in the Gold Ouroboros. In addition to the look, walking around in some sort of battle armor doesn't feel right. I prefer my normal work clothes that I can handle easily. After all, you do have to strip down when getting into your pod. I really intended to have a post written by now, but playing video games got in the way. 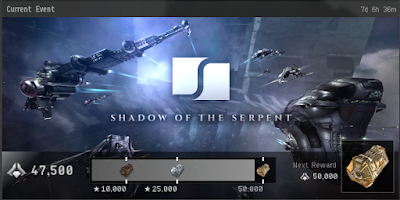 Next Tuesday is the end of the Shadow of the Serpentis event in EVE Online and I got on a roll starting Sunday afternoon and extending into last night. I began Thursday with 32,000 points, needing 18,000 more to get the top reward. Early in the night I ran into a pilot named Mot tita, the CEO of Calpulli Elemental, in his Sleipnir. We just teamed up and took a short, 9 jump trip. We blew through 22 Serpentis Shipyard and Research Facility sites in less than 2 hours. As for that post I meant to finish? I need to rework it. I gained a couple of insights that I want to include. Maybe I'll finish in time for Friday. Unless, of course, I'm too busy playing EVE.